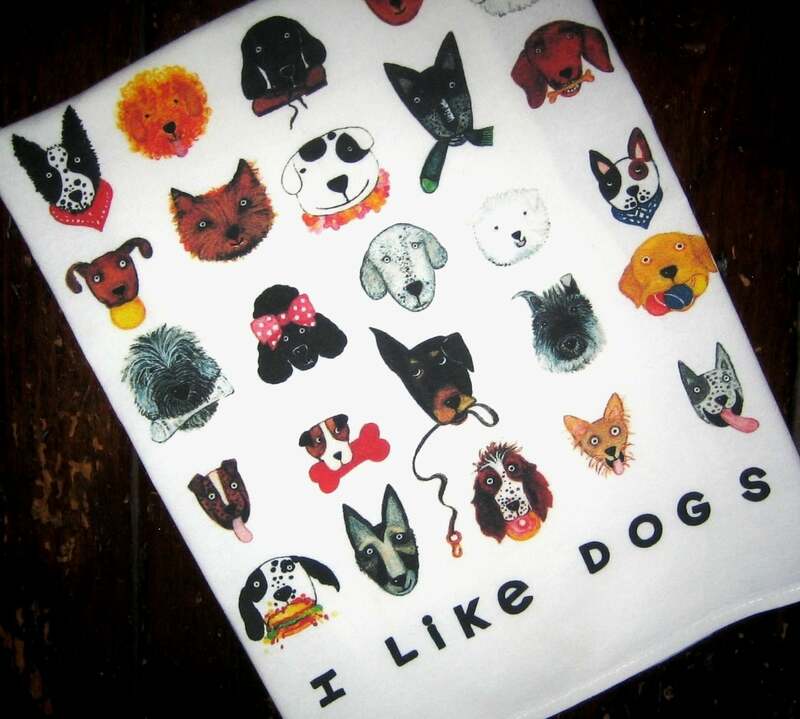 I Like Dogs kitchen towel features a variety of lovable mutts to cheer up any kitchen. 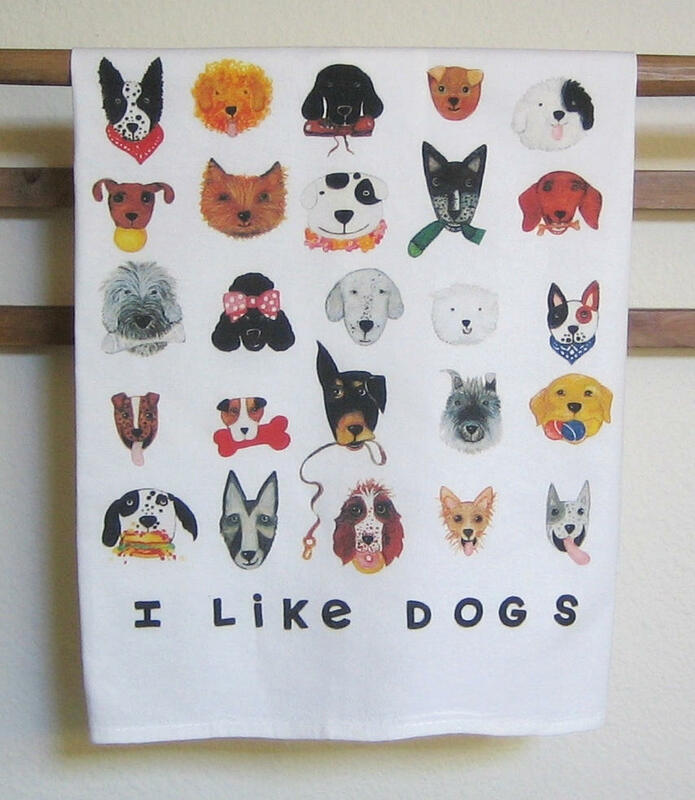 Digitally printed for color and detail on White Cotton Kitchen Towel from original watercolor. Towel is appx 30X30 and design is appx 11X11 center, bottom edge. 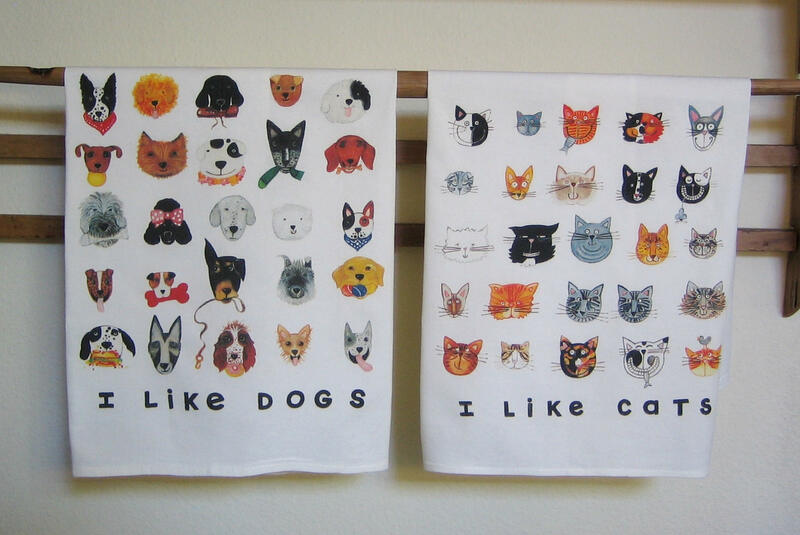 Pair with I Like Cats for extra fun. Please note that this design is like a picture on a large white nice quality cotton kitchen towel. The towel is meant to be used and the design is meant to show when towel is folded over the oven handle or a rack of some kind. 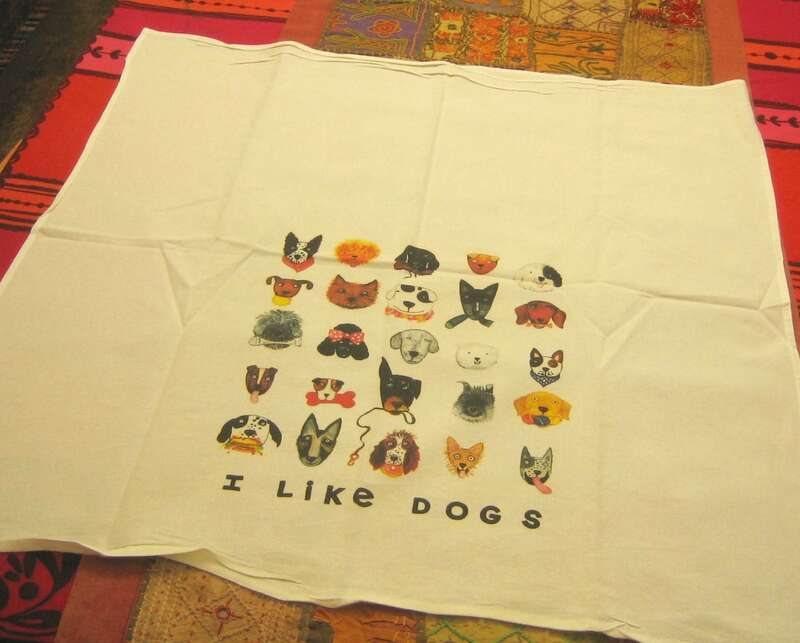 The design is not printed over the entire towel, just in the area shown in the photo.